It doesn't matter if you've been watching Friends since the '90s, or if you finished the series on a month-long Netflix binge-watch! Our next Trivia Tuesday will relive the memories from the beloved gang sipping coffee in Central Perk or running amuck in New York. Can you name one of Pheobe's songs? How about Monica's profession? 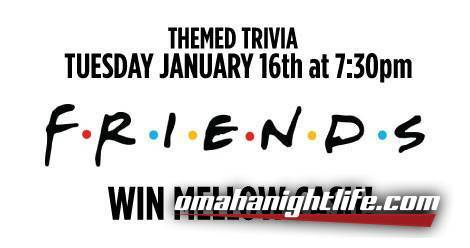 Then join us Tuesday, January 16th at 7:30 pm for a chance to win Mellow Bucks!